“Tricky words” are those that do not follow conventional phonetic rules. Therefore, children need to learn to recognize them instantly by sight. They are often referred to as “High Frequency Words” / HFW, Dolch or Fry’s. 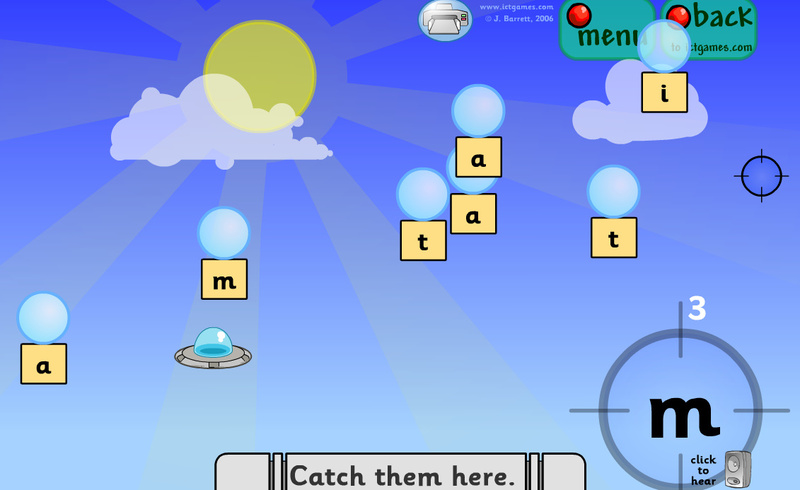 Jolly Phonics always uses the term ” tricky words”. Dolch Words are a particular grouping of these tricky words that are sorted by grade, as are Fry 1000 Instant Words. All of these different listings cover broadly the same words but just introduce them in different orders. No matter what scheme your child follows Jolly Phonics Tricky Words, Dolch or Fry’s, this game will help reinforce words in a fun, active way. Grab some Bingo chips or Unifix cubes. Make sure that each player has their own colour. Roll the dice. If you can correctly read a ” tricky word” from that column put down a counter to “freeze” it. The winner is the person who has read and covered the most words! I am always trying to think up new ways to practice Jolly Phonics Tricky Words. 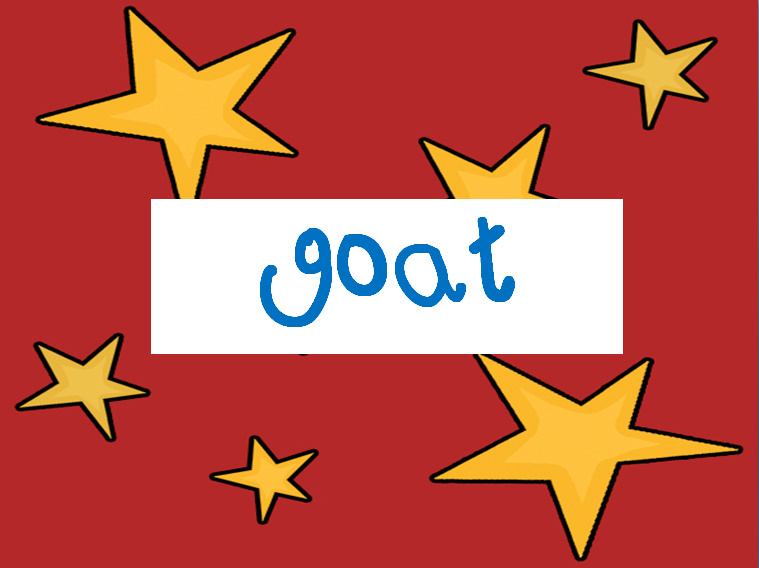 I hope that you like my Jolly Phonics Tricky Word Game. I was in Tesco a few weeks ago picking up some treats for the 1st birthday of missmernagh.com. While in the party section I saw these cute masks and just couldn’t resist! Tesco is just a fantastic place to pick of teaching and art resources. I would encourage you to wander around it some day when you have time. It is just a treasure trove! I picked up my lollipop sticks in Freemans in Oylegate. Another shop with a great carousel of art supplies. You can also pick them up in Tesco. I just happened to have some already. When purchasing the lollipop sticks make sure that you pick up the wider, tongue depressor kind. I simply snipped the elastic from the back of each mask and sellotaped on a lollipop stick. That’s it! 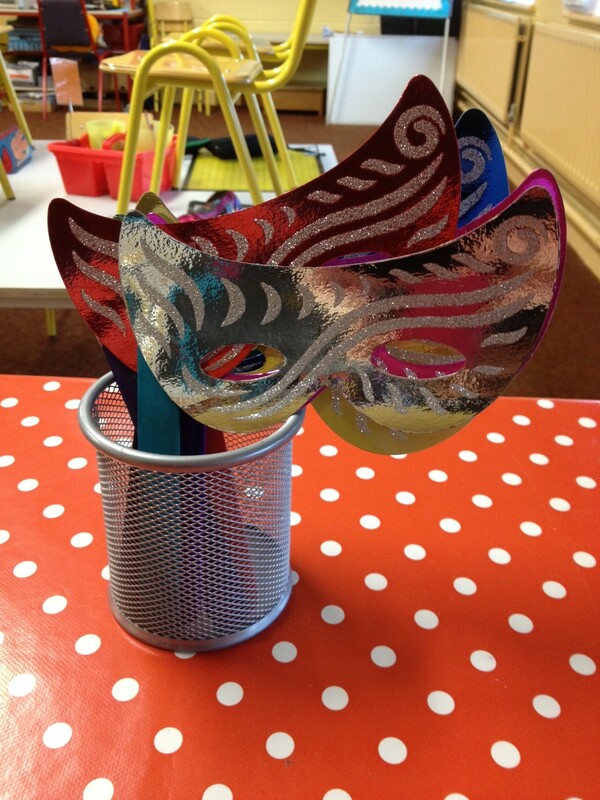 These Venetian masks are a fun, cheap, and novelty way to practice sight words. My class enjoyed using them today when we were practicing our sight words on our Interactive Whiteboard. 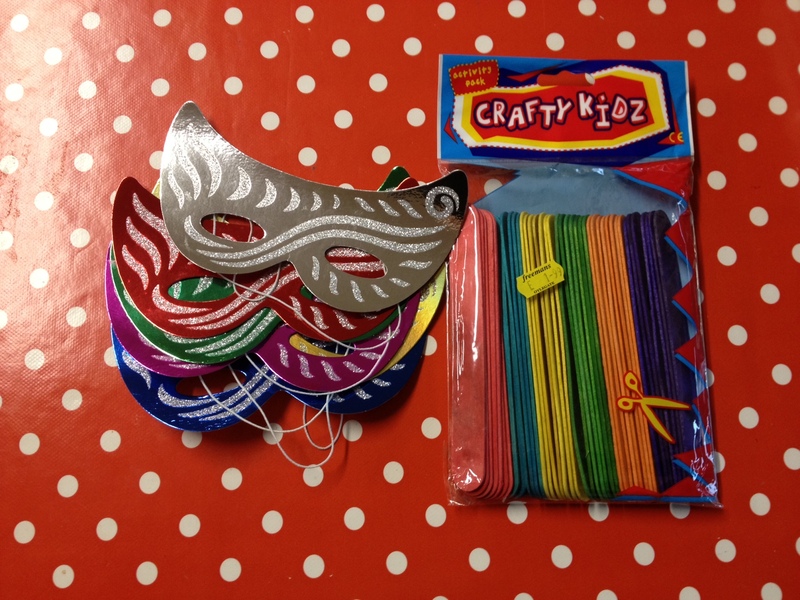 The Venetian masks would also be just perfect for “read the room” activities. If you have a particularly ” girly girl” or a child who enjoys dress up then they would be lovely for homework also. Here is another fun game and video to help your child learn to recognise and hear initial sounds! Then watch a short video clip of children with objects that match that initial sound. Once again the initial phoneme/sound is highlighted. 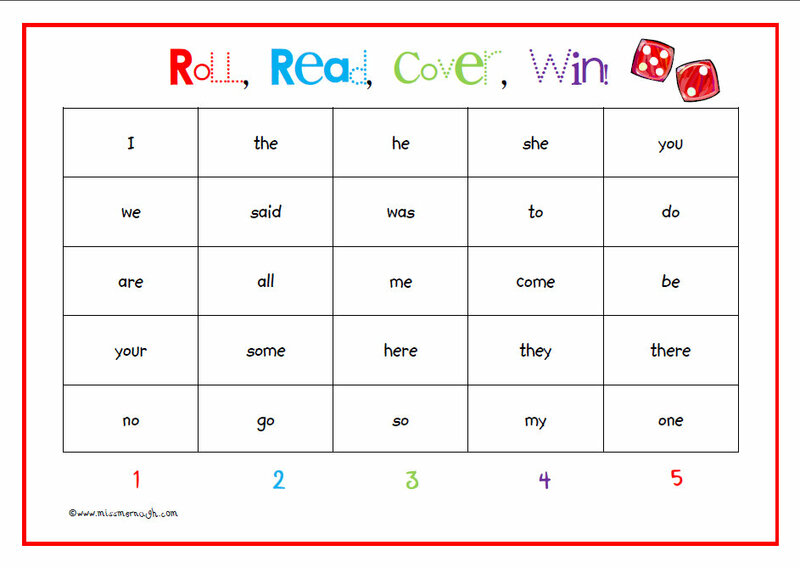 Here is another fun concentration game to practice initial sounds. This game is a greaterchallenge than Monkey Match as your child will not hear an audio of the letter sound. Letter sounds either need to be known in order to play or you could sit with your child and support/scaffold your child to figure out the beginning sounds. It would be just perfect for children in Senior Infants as it could be played with complete independence. It’s a little less cute so it may have greater appeal for boys, though I know plenty of girls who like it! Click a card in the top row to see a letter, then click a card in the bottom row to show a picture. If the letter matches the initial sound of the object in the picture then you have found a match. So, what are we playing today? How about a phoneme popper! A what popper?!?! 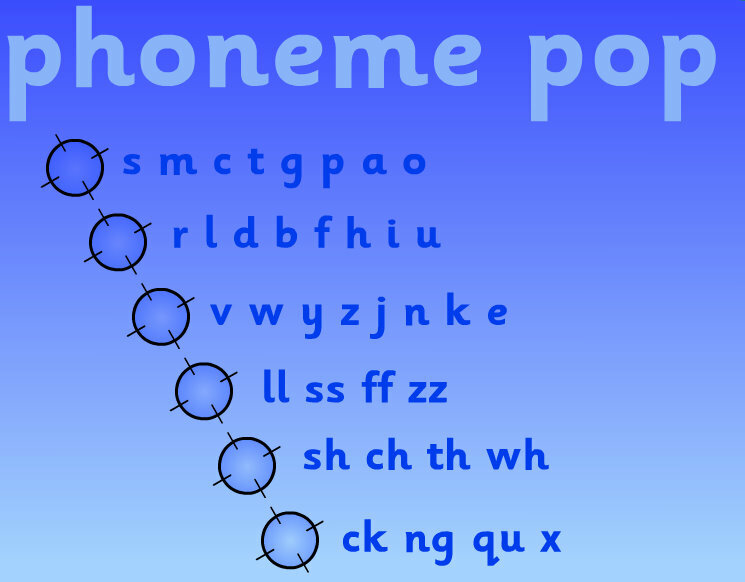 Phonemes are the smallest units of sound ie the individual sounds that your child is learning to pronounce phonetically. When you say the sound of “c” ( not it’s alphabetic name) it is a phoneme When your write it down and represent it graphically the written letter is called a “grapheme“. These are worth understanding as you will see them mentioned on many of the teaching websites I will recommend. You may also find that your child will use the term “phoneme”. I use the term with my class all the time. Your child will have lots and lots of opportunities to hear the sounds of the phoneme and associate it with its written form, the grapheme. I love how they have separated out the phonemes into groups. This allows you to focus on just a small number of phonemes until they are well known. It will also allow parents to match the game exactly to the sounds that their child has for homework or is struggling with. Feel free to play it even if your child has not been taught every sound in the grouping. This game is really designed to be instructional! Your child need to pop the correct phoneme bubble to earn a point. Popping and incorrect phoneme will result in lost points. It makes a fun “pop” sound like a bubble bursting. Don’t forget to click on any flying saucers that whizz by. This game will not time out. Decide with your child how long you will play for or just let him/her at it until the novelty wears off! I prefer to use it as a “warm-up” or ” revision” before playing other games. 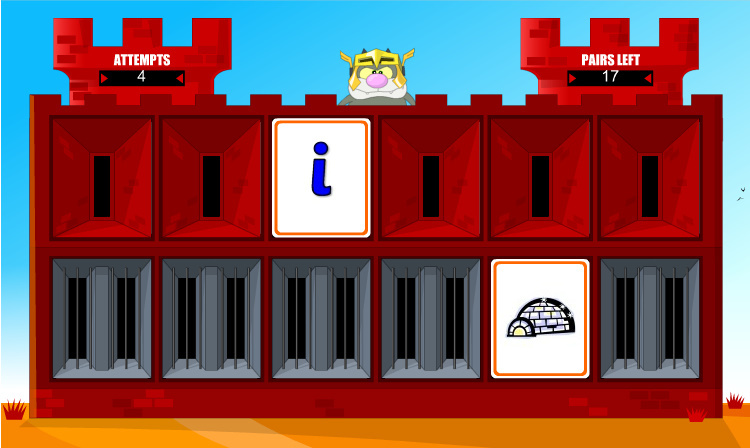 I hope that you found yesterday’s post useful on why we teach initial sounds first and enjoyed the game reinforcement game. 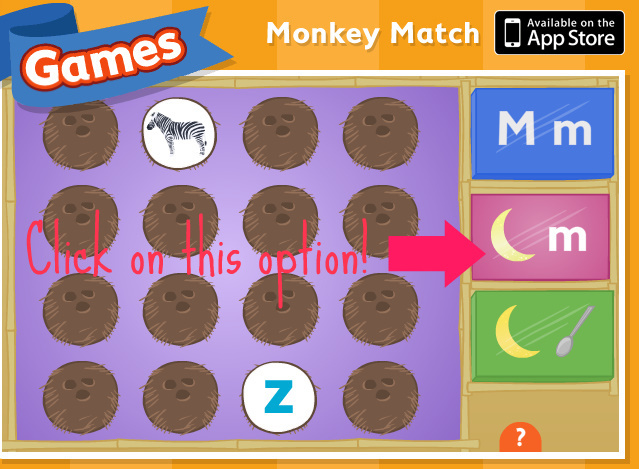 How about playing Monkey Match, a concentration game, today? Your child will be challenged to match the object to its initial sound. Familiarity with initial sounds will benefit both reading and spelling. Concentration is great for, you guessed it, building up your child’s concentration and memory! Our cool Hawaiian monkey friend gives clear explanations on how to play. The initial sounds are pronounced very clearly. The pictures are of everyday objects and animals, nothing too tricky. Once you have successfully cleared your coconuts you are invited to play another round. The next round will contain different letters and sounds. The lack of a timer makes the game user friendly for little ones just learning. They can take as long as necessary to play and win! If you are playing this with an older child for revision you could set a timer on your phone. Children love to try and beat a timer!!! I would love to hear your comments on this and yesterday’s game. Did your child enjoy them? Any concerns or queries about sounds and phonics homework? I would be only thrilled to help!